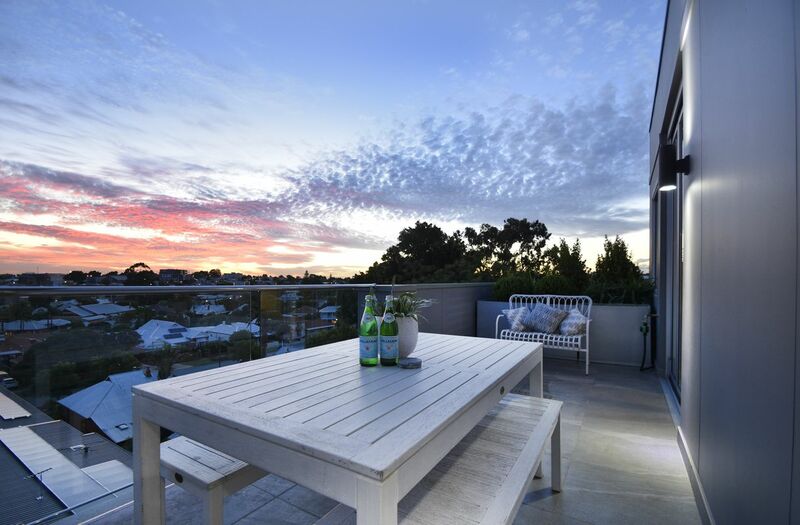 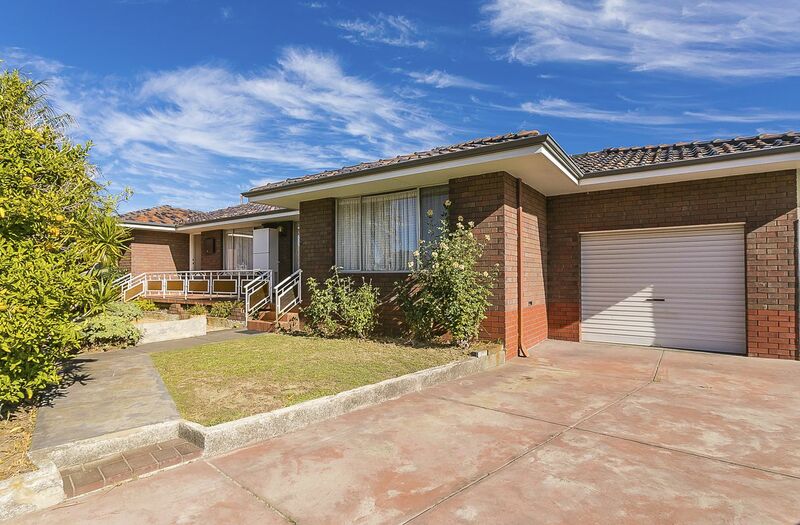 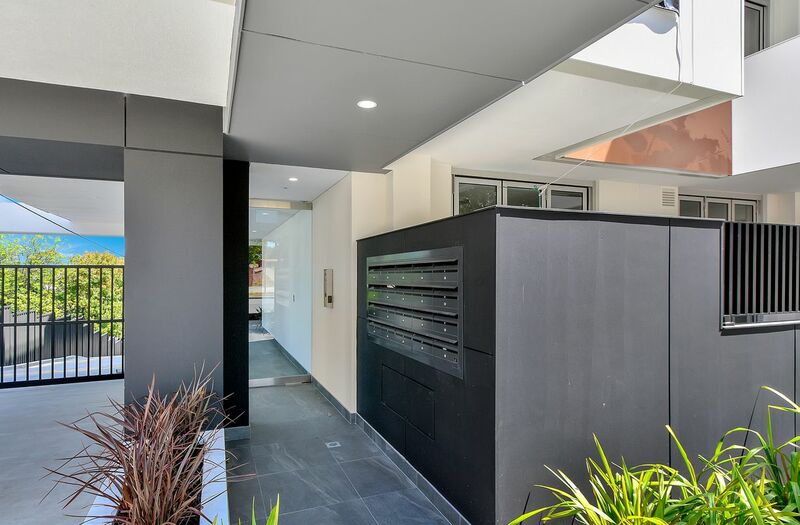 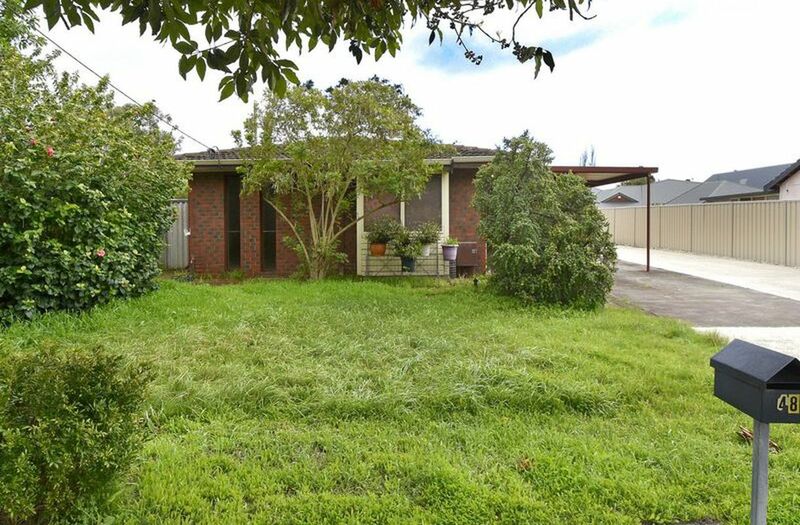 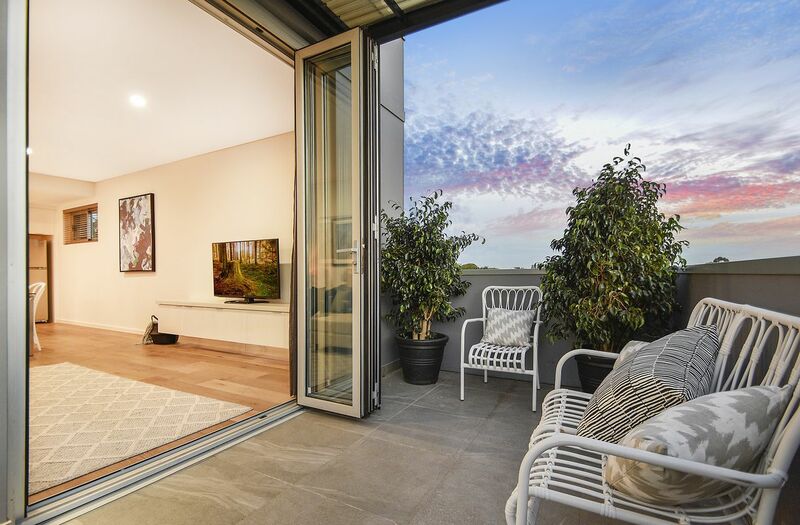 Be the first to explore this penthouse apartment located in the heart of Mount Lawley in a small private complex. 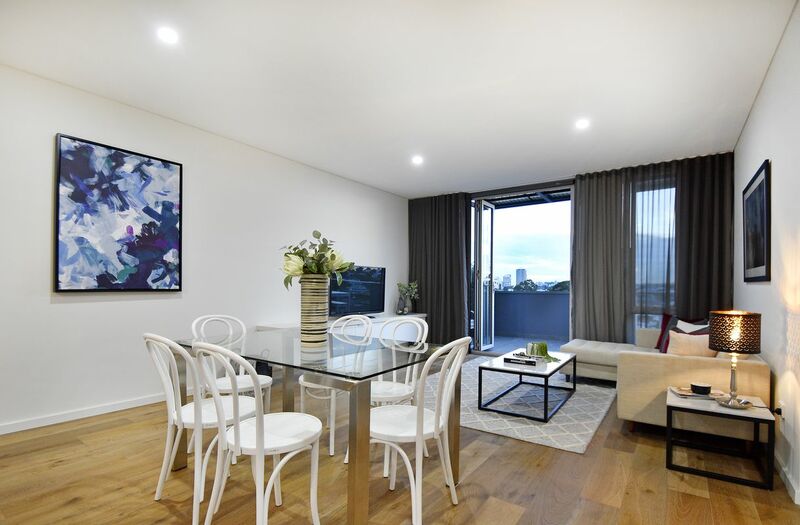 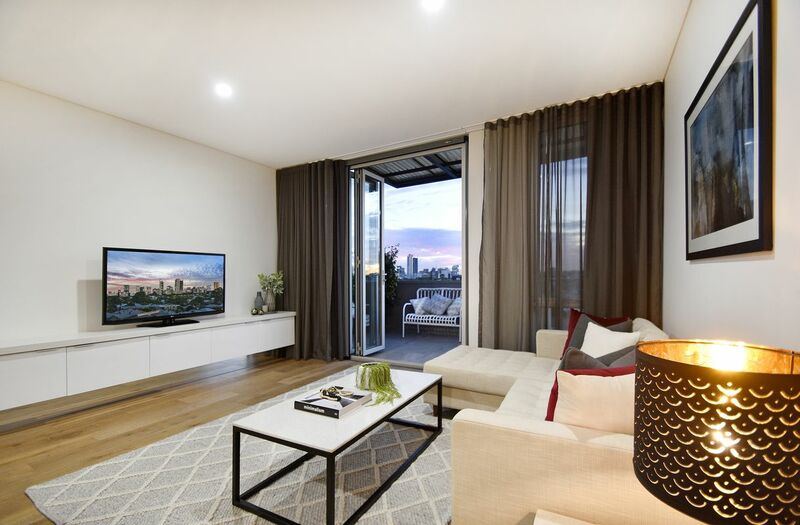 This contemporary apartment has 2 bedrooms, 2 bathrooms, 2 car bays and is positioned with unlimited city skyline views from the balcony, main living area and master bedroom. 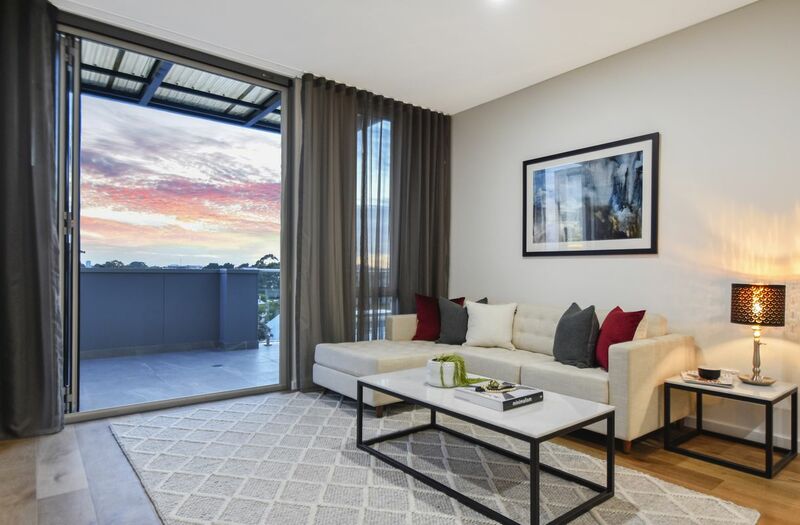 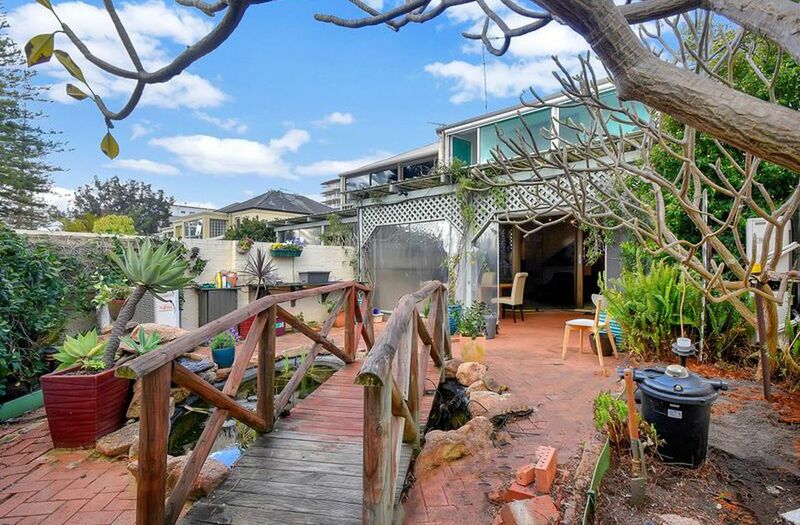 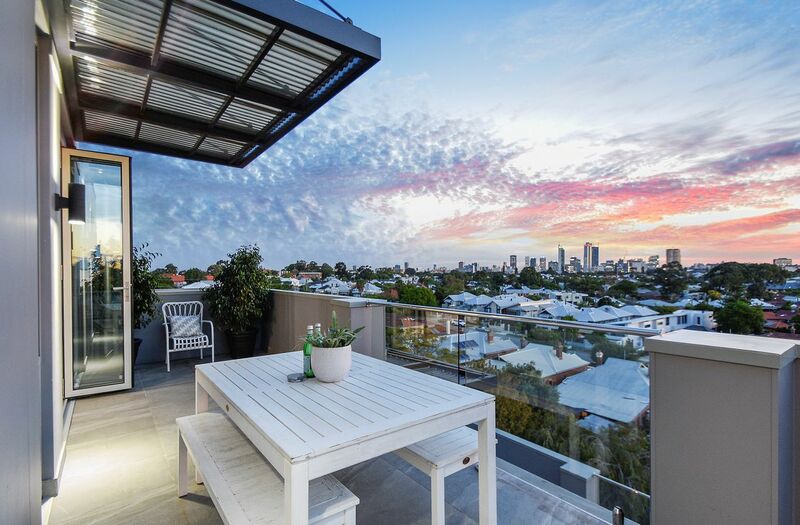 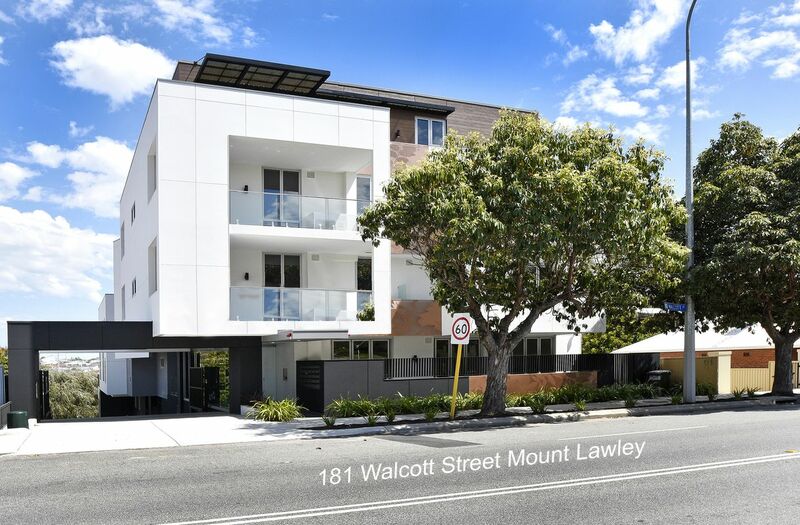 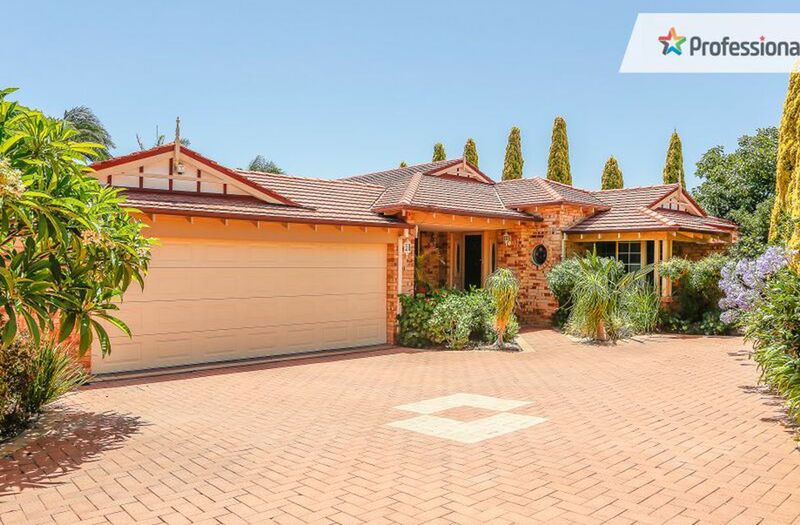 This charming residence has a spacious, light filled open plan living, kitchen and dining area with high ceilings and bi-fold doors opening onto a large balcony with beautiful city skyline views and a reticulated garden. 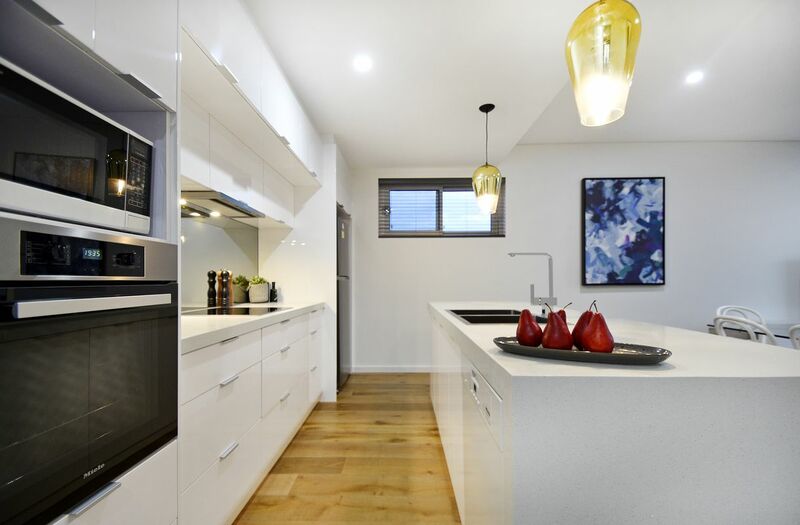 The state of the art kitchen has been meticulously designed with high quality fittings and fixtures. 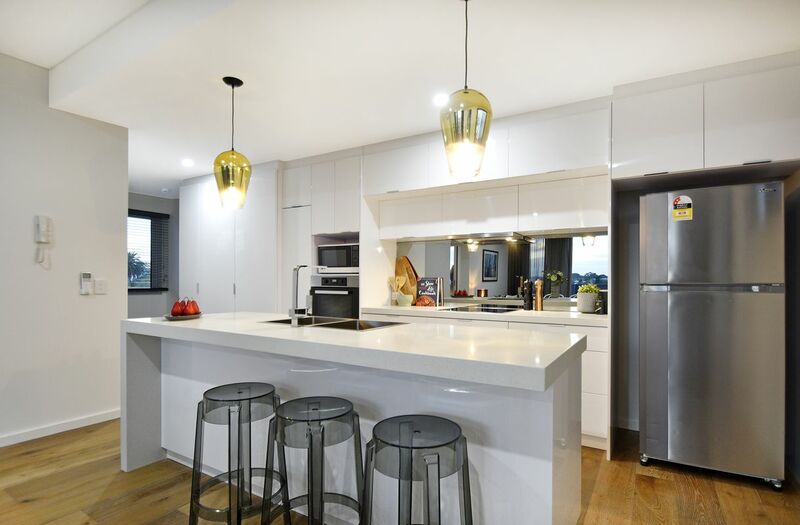 Engineered stone bench tops, Miele appliances and a generously sized breakfast bar are just some of the perks of this space. 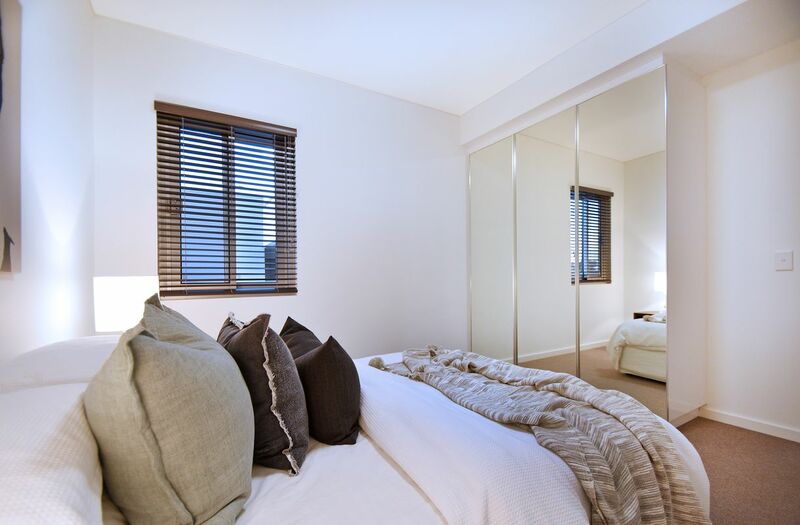 Spectacular master bedroom with bi-fold doors opening onto the balcony and a stunning ensuite with a free-standing bath. 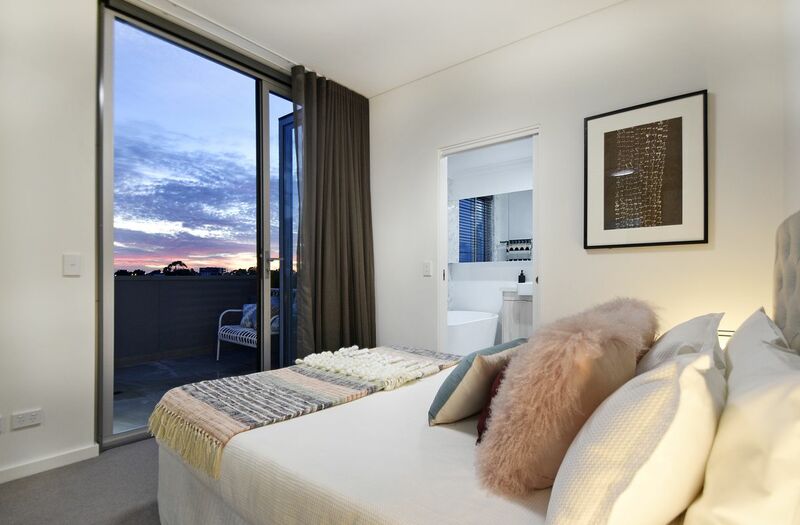 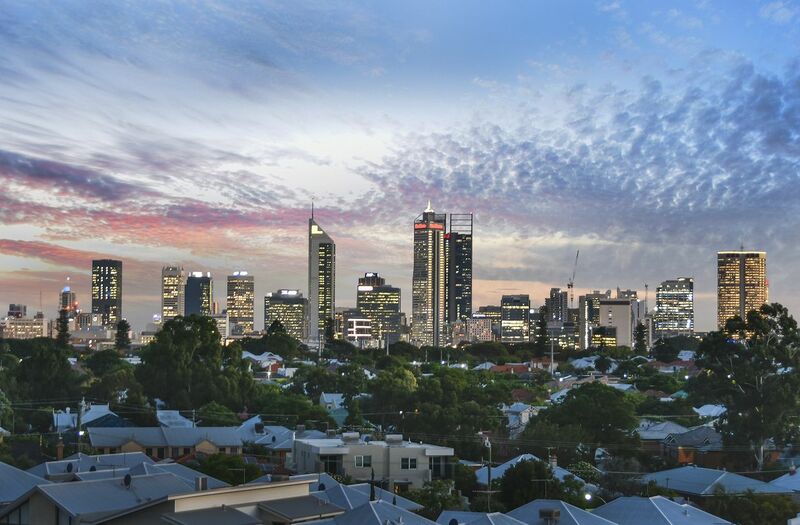 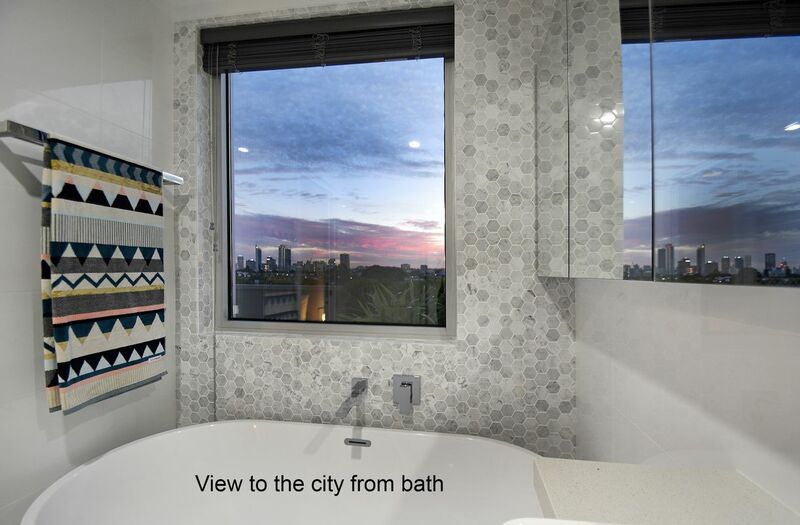 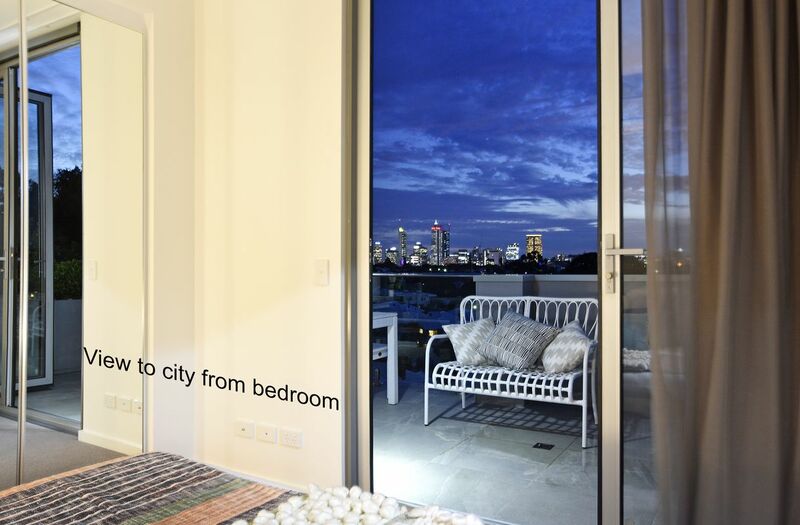 Commanding views of the city skyline can be enjoyed while you unwind in your bath at the end of the day, or as you lay in bed on an easy Sunday morning. 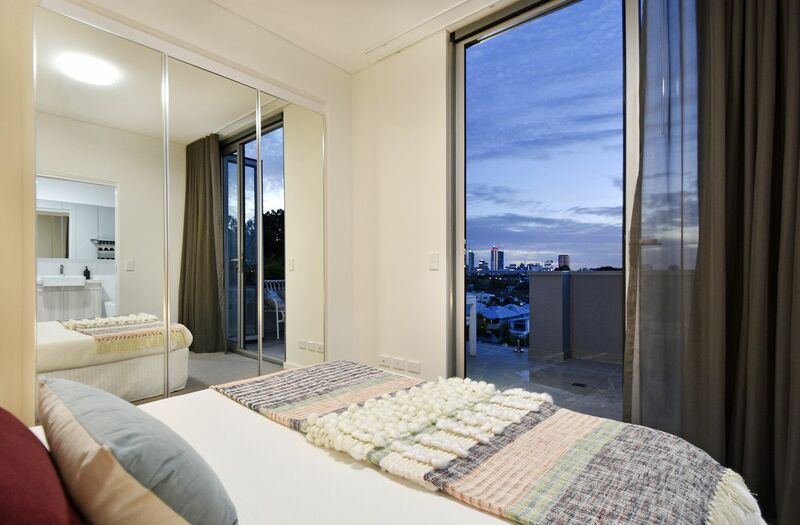 Both bedrooms have built in robes. 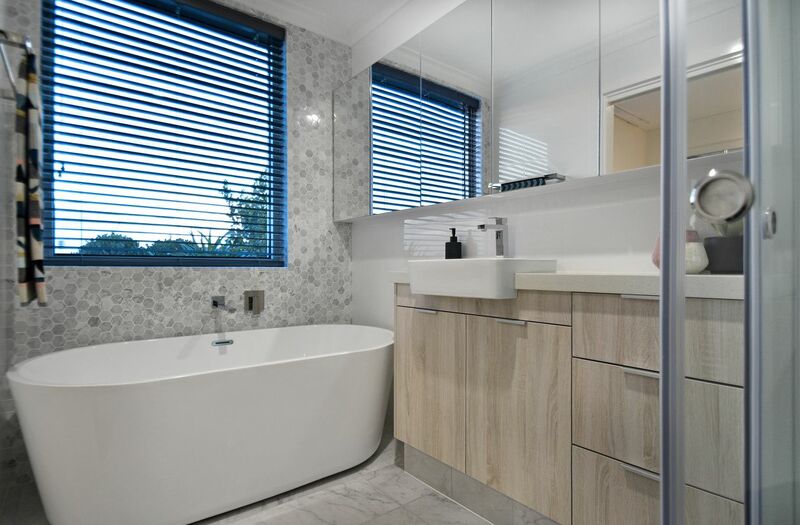 The bathrooms are crafted to a premium standard – with quality tiles to the ceiling and marble flooring and feature walls. 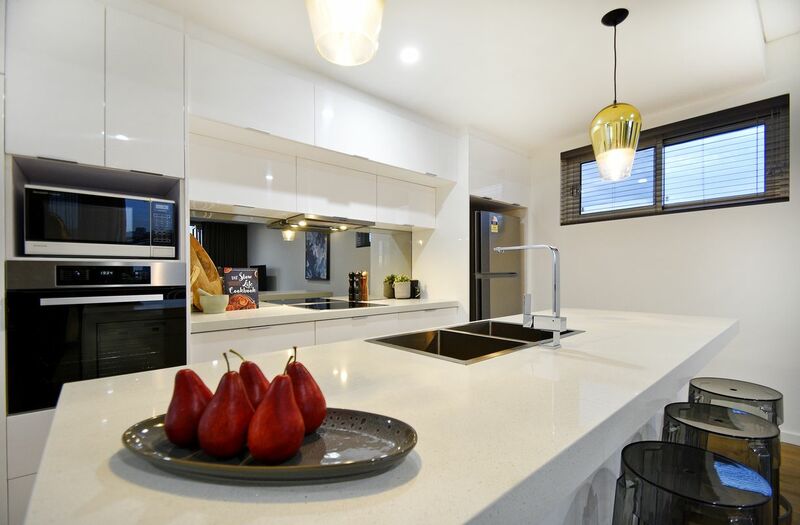 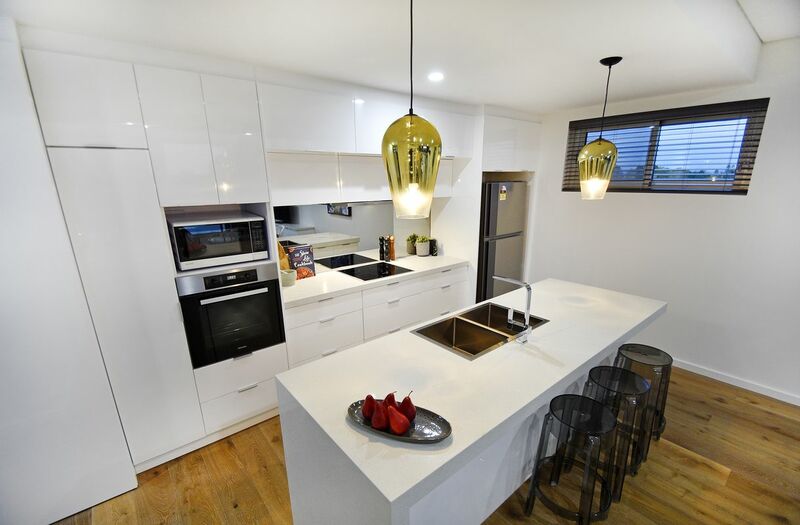 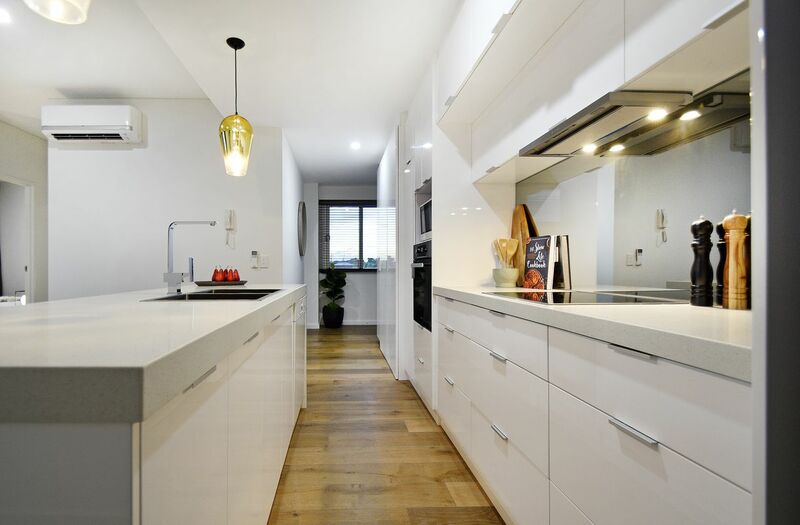 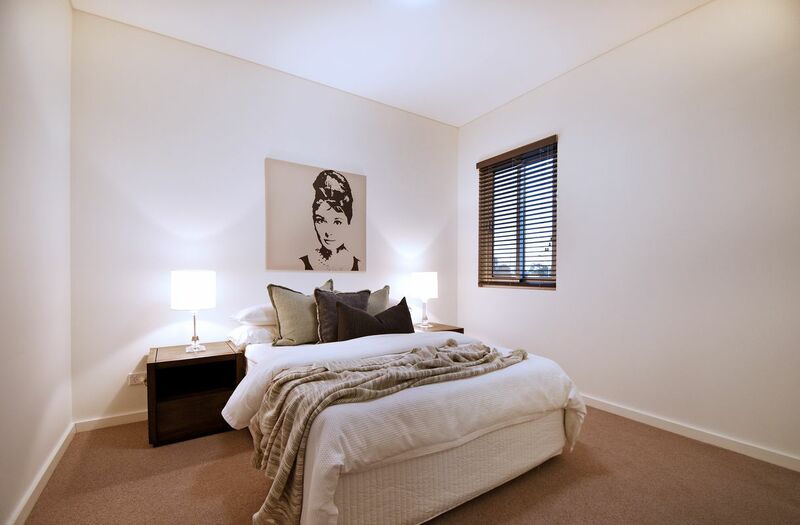 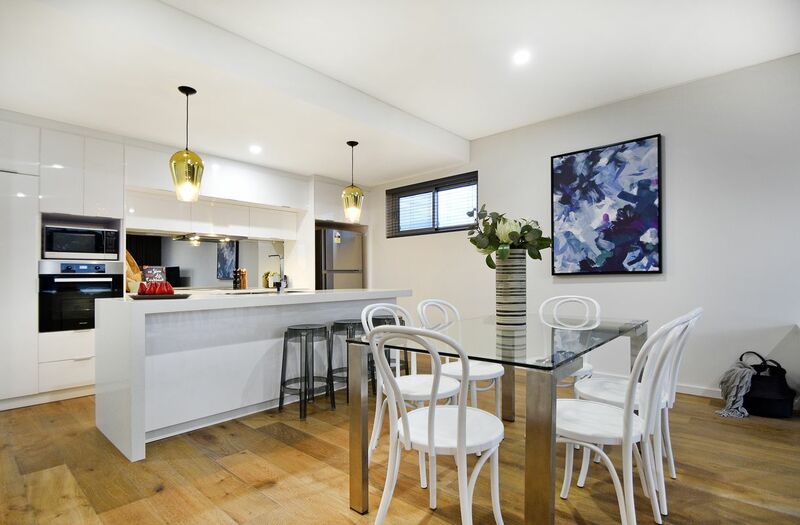 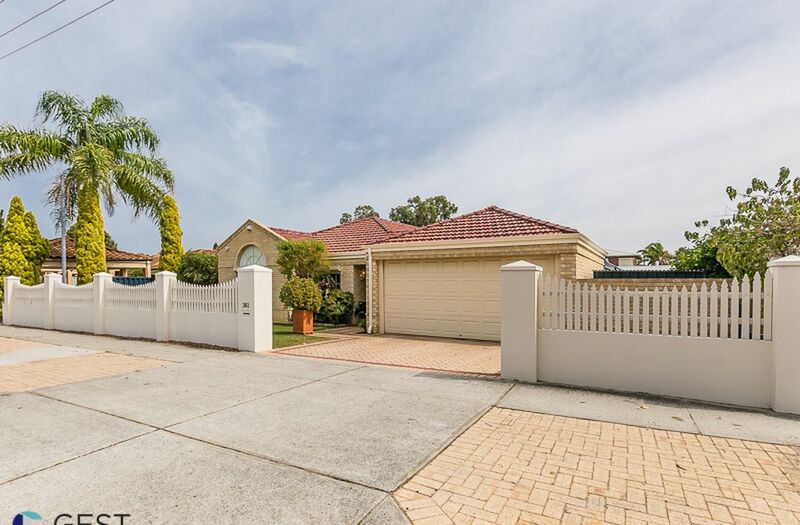 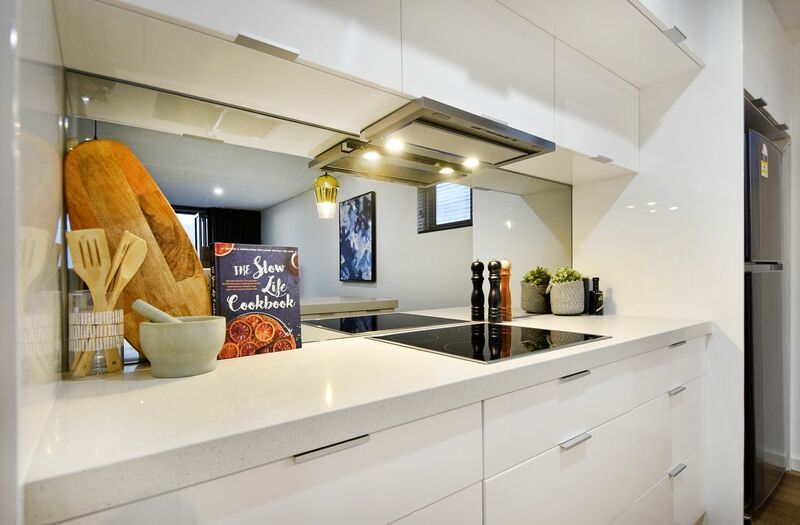 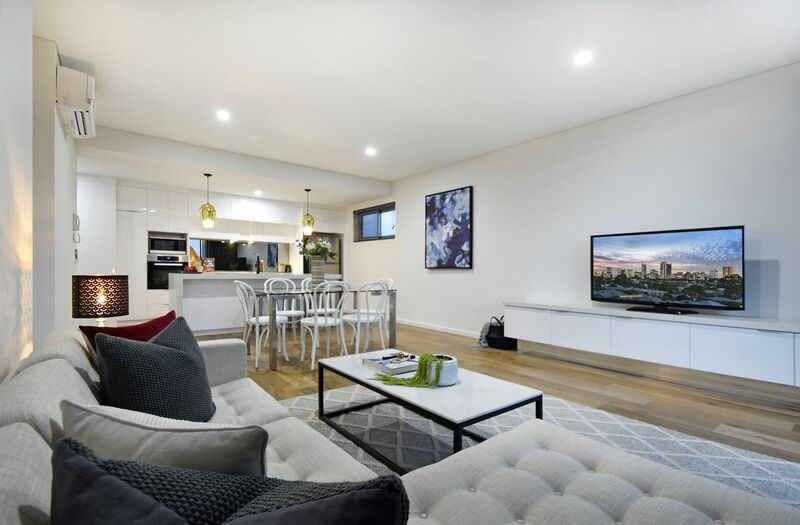 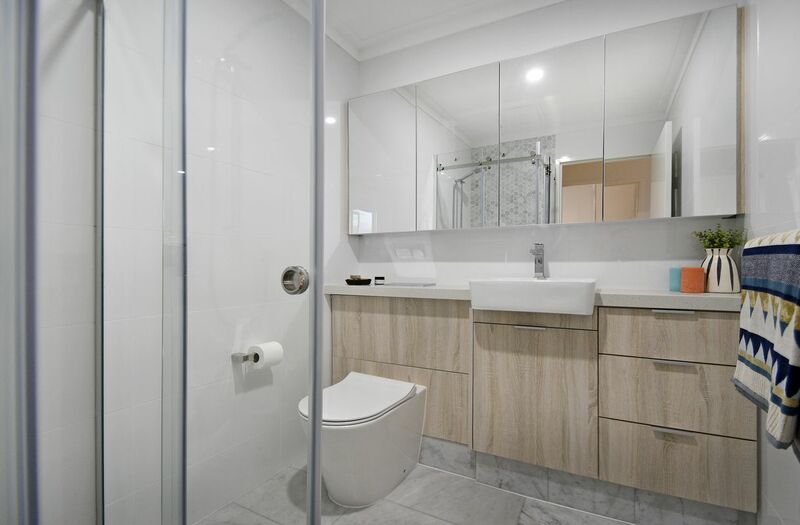 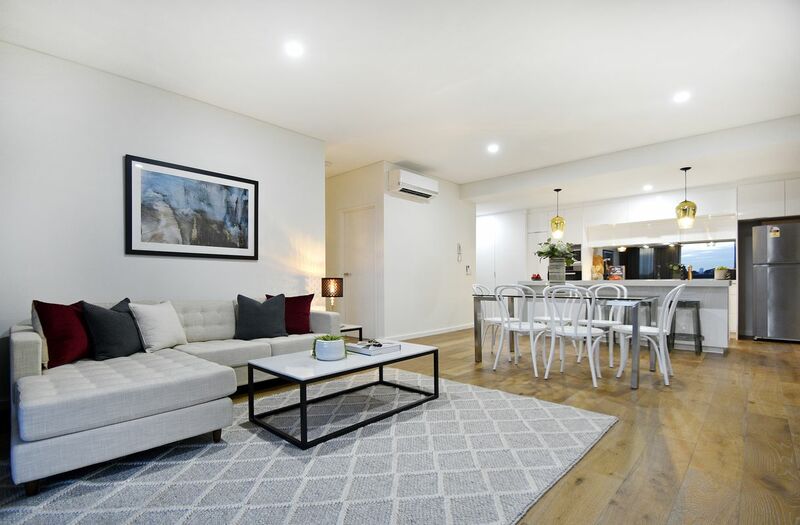 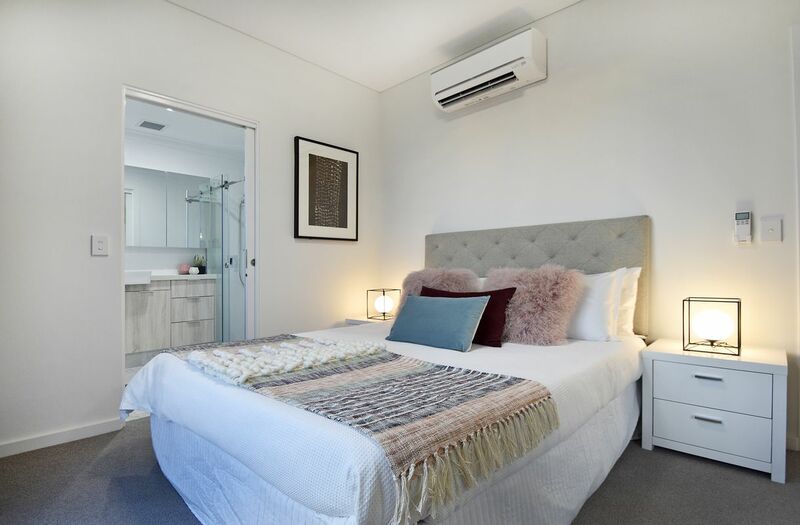 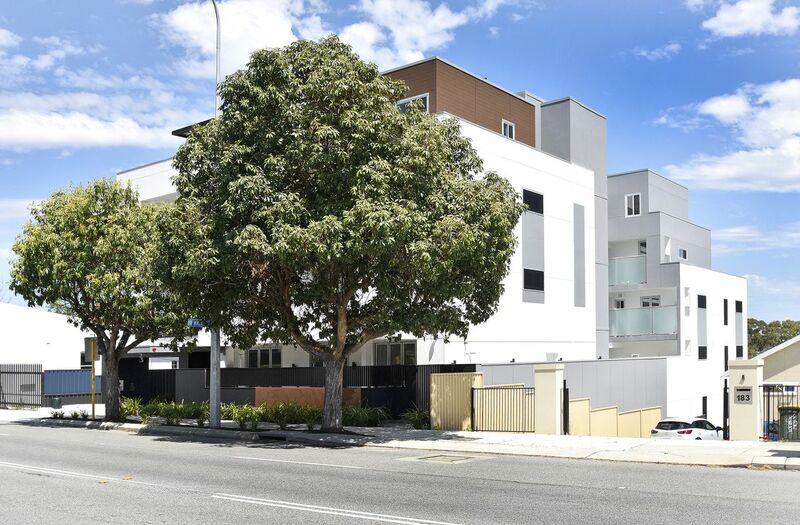 This apartment is located in the heart of Mount Lawley – located amongst cafes, bars, delis, multiple retail shops, Edith Cowan university, multiple parks and more! 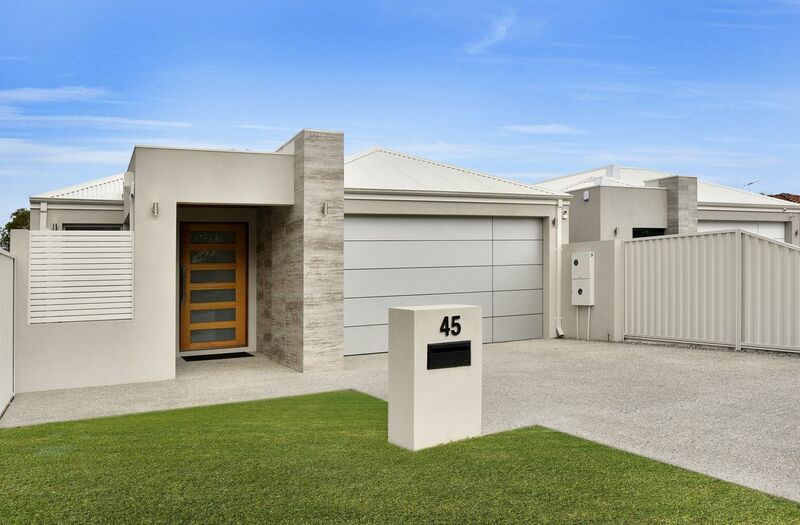 The new owners can be spoilt for choice.